That is, the Beast X is a line of single piece aluminum bats that come in a light (speed) or heavy (loaded) swing speed. There is a subset of the Beast X that is referred to as the Hybrid, but we review that elsewhere. After extensive use with the Beast X, we put together this 2018 Easton Beast X… Jump to the full review. We aren’t the only ones to have information about the Beast X. Other places, in particular those who sell bats, usually have a boiler plate write up on the specs of a bat. Many of those we reference to make sure we are seeing what we should be. Here are some more references for the 2018 Easton Beast X review. That is, the Beast X is a line of single piece aluminum bats that come in a light (speed) or heavy (loaded) swing speed. There is a subset of the Beast X that is referred to as the Hybrid, but we review that elsewhere. After extensive use with the Beast X, we put together this 2018 Easton Beast X Review. Easton, in predictable fashion, has a whole slew of bats for every size and player. One of those, lost in the mix when first released in September of 2017, is the Easton Beast X USA Bat. To clear any confusion, this bat is not the Beast X Hybrid USA Bat, which we have great things to say about. Nor is it the Easton Beast X Hyperlite USA Bat, which we also have things to say about. If you like the feel of a single piece aluminum bat then there is no doubt you’ll appriciate the 2018 Easton Beast X. The Z-Core was one of the more popular single piece aluminuns for its long barrel (for an aluminum) and hot out of the wrapper feel. The only question you’ll need to decide on is if you want the Speed or XL. Assuming you find yourself in the Beast X camp, but unsure of which route to go, we offer some general sentiments below on our recommendation. The Beast X Speed if…You like a light swing. You need a bat that is less than 32 inches long. 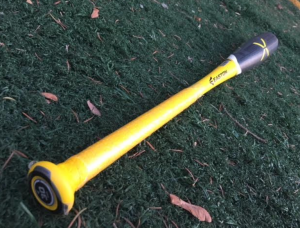 The Beat X Loaded (XL) if….You can handle a bat with a bit heavier of a swing. You are a very good hitter. The Beast X USA bat is a single piece aluminum bat that comes in a drop 10, 8 and drop 5 modeled after the Easton Beast X Speed BBCOR bat. After a few hours hitting, we write our 2018 belated Beast X USA Bat Review. As a general rule we would suggest the XL wherever possible. It is, ultimately, a bigger hitting bat that will not affect your hands as much on mishits. However, for some who need a shorter bat and/or a lighter swing and really want to stick with a single piece aluminum, then the Z-Core would be a perfect option. Do note, too, the Z-Core Speed is one of only a couple BBCOR bats that offer a 29 inch option. If you are in that market, this may be your ticket out of the research phase and into hitting phase. Although a considerable name change, which makes the two bat lines almost unrecognizable, the truth is the 2017 Z-Core and the 2018 Beast X are very similar bats. Easton did upgraded some of the aluminum properties in the Beast X to add some durability. But it didn't change the already large barrel size of the Z-Core. Nor did it affect the swing weight when comparing the Speed and XL versions of the line. The biggest change was a redesign of the two piece connective piece, but that only affected the Hybrid versions of the Beast X/Z-Core. We will discuss that in our review of that bat. Finding a single piece aluminum bat is as easy as going to your local big box store. In fact, most cheap bats are made just like that. But anyone who has spent time with a performance alloy bat when compared to a cheap $50 Walmart bat knows darn well that the top shelf bats are just different. The barrels are larger, the swing weight distributed perfectly. In that high class category of single piece aluminum there are fewer options. But, for sure, there are plenty to choose from. Slugger also makes a single piece aluminum with a decent sized barrel called the Omaha 518. Worth considering if this is your wheelhouse. We think the most useful review to compare side by side with the 2018 Easton Beast X is our 2017 Easton Z-Core review. There you will get a good feel for how the bat changed from the 2016 model and before. Off this site, we think Easton’s site directly, as well as user reviews on the Easton Z-core via Amazon are mildly useful too. Our initial impressions from the 2018 USA Beast X were as expected. A single piece aluminum bat has a tough row to hoe in the youth bat market. Players don’t enjoy the hand sting, think they feel heavier than they should and wish the barrel was bigger. The Easton Beast X comes with some issues too, although the barrel is quite large (for an aluminum bat) and the drop 10 feels like a pretty light swing. Older, stronger and advanced players sometimes prefer stiff single piece bats. 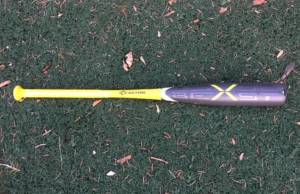 (See our 2018 BBCOR Easton Beast X Reviews for some examples). As such, we think the drop 8 and drop 5 Beast X USA bat a great batting practice or cold weather bat for the elite, stronger youth player. Big time hitters still in the youth market will find a ton of power transfer through the drop 5 Beast X. The drop 10 is a difficult bat to wholeheartedly recommend to very serious players. It should serve well the weekday player looking for a good brand name, large barrel and low swing weight in a mostly affordable performance bat. What might be most attractive with the 2018 Easton Beast X USA Bat is the range of sizing options. Part of the reason Easton is leading the USA Bat space is the sheer breadth of their bat offering. The Beast X is a perfect example as it comes in lengths from 28 to 32 and three different drops. Literally any hitter looking for a USABat will find the right swing weight in an Easton Beast X. At its core, the 2018 Beast X USA is a single piece bat with a good sized aluminum barrel. Easton does a good job creating long barrels in their performance aluminum bats. It is safe to assume the sweet spots tends to expand when the barrel size does too. This is a no frills bat. Meaning, no unique end cap or handle tech helps improve it over other single piece aluminum performance bats. Its major advantage is the multiple size offerings and the extended barrel when compared to other single piece aluminum bats in the USABat space. Single piece bats in the USA space come in a whole range of prices. One of our favorites in this category is the 518 Omaha. It feels much like the Easton Beast X and comes, we think, in a better feeling grip. The barrel profile on the 518 Omaha USA is considerably smaller than that of the Beast X USA, but it is also less expensive. The 518 serves as the best comparable bat to the Easton Beast X in the 2018 USABat market. However, the 518 only comes in a drop 10 while the Beast X comes in a drop 10, 8 and 5. These lower drops found only in the Beast X make it an ideal candidate for the big hitting weekday and weekend youth player looking for a solid cold weather, BP or less expensive second bat. DeMarini’s Voodoo One USA bat is a VERY light swinging single piece aluminum bat. Our general sentiment is the bat should be considered a drop 11 as it swings so very light. When compared to other drop 11 bats it performs well, but the lack of barrel size when compared to the true drop 10 Easton Beast X USA will leave most underwhelmed. Rawlings VELO USA is another single piece aluminum USABat for 2018. We think the drop 11, at least in terms of swing weight, matches up much better with the drop 10 market (and the Beast X) than the drop 10 version of the VELO. The Velo’s small barrel will lead most young hitters to prefer the Easton Beast X. 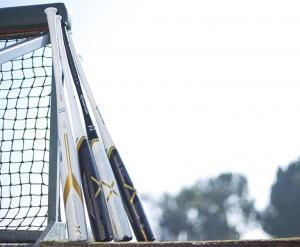 The Beast X is a single piece aluminum bat. It is made with Easton’s most elite alloy (which is good). But, the bat runs in a number of different lengths, weights and leagues. They also have a version called the Hybrid which is a two piece bat. In any event, make sure you know which version you are buying as plenty of bats in the market today go by the Easton Beast X. Aside from the Easton Ghost, the 2018 Easton Ghost X is the largest line of bats Easton makes. That is, of course, in the performance bat space. They offer two types of BBCOR (Speed & XL) as well as four different 2 3/4 big barrel bats. Those big barrel bats are a drop 10, drop 8 and drop 5. As well, it adds in a 2 3/4 Junior Big barrel drop 10 that uses some shorter sizes. There is also an exlusive version of the bat called a BBCOR whiteout. This is only available at CloseoutBats. Although we don’t have much information on the USABat line from Easton just yet, we do know they will release a Beast X in the USABat line. Expect a 2 5/8 drop 10 and/or drop 8-ish.